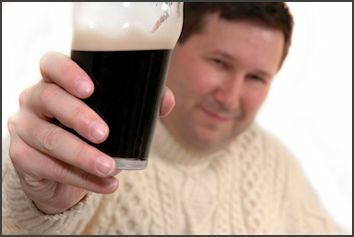 March 7, 2013 - CelticRadio.net - Toasts are an essential role for any St. Patrick's Day celebration. They serve as a link amidst the formal ceremony and a less formal atmosphere of the coming celebration. The St. Patrick's Day toast allows family members and friends to talk their hearts out. Remember Abraham Lincoln's words from his inaugural address, and you will never go wrong, "With malice toward none; with charity for all." A toast is a wish, and whether you believe in karma or not, it is always better to wish good than ill; far better to follow Shakespeare and "drink down all unkindness." That said, we've found it helps us when offering toasts to use the standard pattern that Colonial-era drinkers used. It's a simple, two-part format in which you first propose the object of the toast and then either explain why it's worth toasting or offer a wish on its behalf. This will then lead into the toast at which point you should finish by fully drinking your beverage which is hopefully some hearty Guinness! And now for some time weathered St. Patrick's Day and Irish Toasts to impress your family and friends during your St. Patrick's Day celebrations. Cheers! May the sound of happy music, and the lilt of laughter, fill your heart with gladness, that stays forever after. May the hinges of our friendship never grow rusty. And our ale never turn musty. 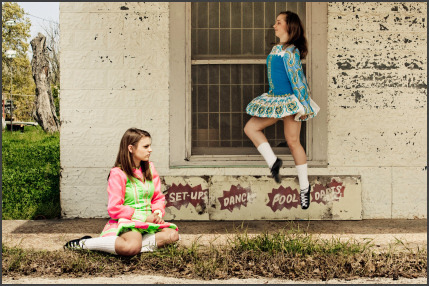 St. Patrick's Day is an enchanted time -- a day to begin transforming winter's dreams into summer's magic. Saint Patrick was a gentleman, Who through strategy and stealth, Drove all the snakes from Ireland, Heres a toasting to his health. But not too many toastings Lest you lose yourself and then Forget the good Saint Patrick And see all those snakes again. A bird with one wing can't fly. said to encourage someone to take a second drink It is better to spend money like there's no tomorrow than to spend tonight like there's no money! My friends are the best friends Loyal, willing and able. Now lets get to drinking! All glasses off the table! Here's to a long life and a merry one. A quick death and an easy one. A pretty girl and an honest one. A cold pint-- and another one! Here's to a temperance supper, With water in glasses tall, And coffee and tea to end with-- And me not there at all! When money's tight and hard to get, and your horse is also ran, When all you have is a heap of debt, a pint of plain is your only man. Here's to being single... Drinking doubles... And seeing triple! I drink to your health when I'm with you, I drink to your health when I'm alone, I drink to your health so often, I'm starting to worry about my own! Here's to women's kisses, and to whiskey, amber clear; Not as sweet as a woman's kiss, but a darn sight more sincere! Heres to you and yours, And to mine and ours, And if mine and ours ever come Across you and yours, I hope you and yours will do As much for mine and ours, As mine and ours have done For you and yours! To live above with the Saints we love, Ah, that is the purest glory. To live below with the Saints we know, Ah, that is another story! May the lilt of Irish laughter lighten every load. 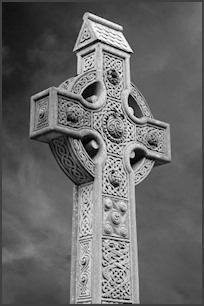 May the mist of Irish magic shorten every road... And may all your friends remember all the favours you are owed! Here's to the land of the shamrock so green, Here's to each lad and his darlin colleen, Here's to the ones we love dearest and most. May God bless old Ireland, that's this Irishman's toast! May you be in heaven a full half hour before the devil knows your dead. May you live as long as you want and never want as long as you live. May those that love us, love us. And those that dont love us, May God turn their hearts. And if he doesnt turn their hearts, May he turn their ankles, So well know them by their limping. May you have food and raiment, a soft pillow for your head. May you be forty years in heaven before the devil knows youre dead. May your mornings bring joy and your evenings bring peace... May your troubles grow less as your blessings increase! May the luck of the Irish Lead to happiest heights And the highway you travel Be lined with green lights. Wherever you go and whatever you do, May the luck of the Irish be there with you. If youre enough lucky to be Irish... Youre lucky enough! May you have all the happiness and luck that life can hold And at the end of all your rainbows may you find a pot of gold. May your pockets be heavy Your heart be light, And may good luck pursue you Each morning and night.